Imagine walking through your neighborhood and stumbling upon a piece of poetry beautifully inscribed on the side of a corner grocer. You pause to read the words, which reveal previously unknown truths about the grocery. You notice at the bottom of the poem there is a small map for you to take that directs you to another poem. Your curiosity piqued, you wander for a few blocks and find your way to poem number two. This poem is written on the ball wall of a small community park. There are kids playing kickball so you sit on a nearby bench and watch them play, reading the words between thwacks of the ball against the wall. As you ponder the words, you listen to the sounds of the neighborhood. Following a mother pushing her kids in a stroller, you leave the park to head to poem number three. You feel as though you are rediscovering your neighborhood all over again and your connection to the place itself grows stronger. The evolution of this project itself has been a story of community connections. 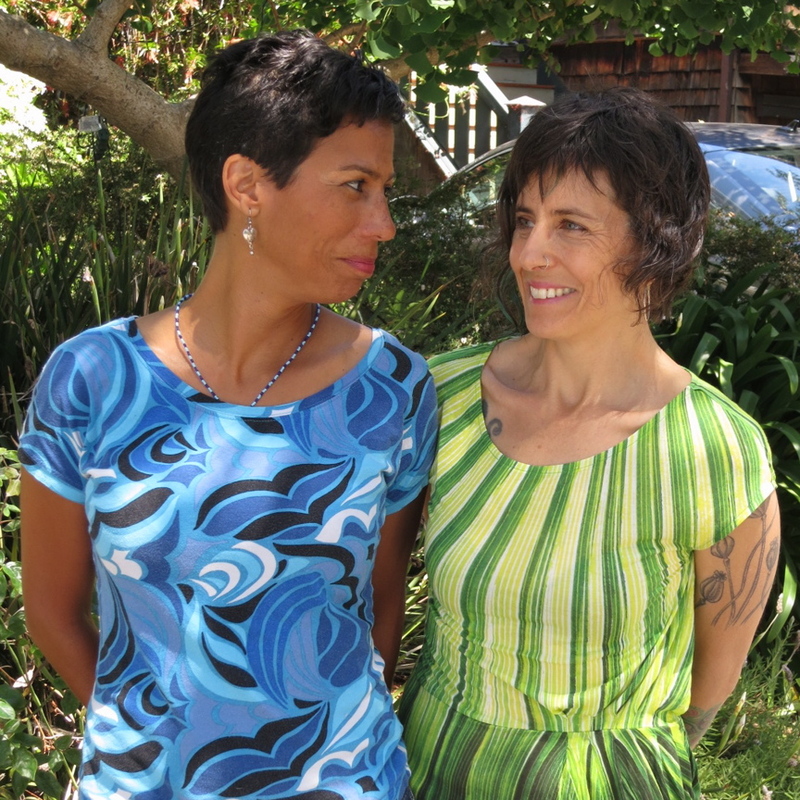 Karla and Sara, a San Francisco poet, artist, and social worker, have collaborated on several artistic community efforts. In 2006, they edited and hand-printed Words Upon the Waters: A Poetic Response to Hurricane Katrina by Bay Area Writers and Artists. Both have been reading poetry in Oakland for 20 years, expounding on the ideas of racial identity, Oakland, politics, and community. Sara recently came up with the idea of asking local artists to write and install a piece of poetic art in and about their own neighborhood. As Sara and Karla explored the possibilities of this project, a mutual friend (and former Athenian teacher! ), Marisa Vitiello, told them about Storytelling for Good, a contest from GOOD that asks artists to “use storytelling to unite and improve your community.” Karla enlisted another Athenian teacher, Stacey Goodman, to help them make a video for their contest submission. And she plans on asking Kalyan Ali Balaven, another Athenian teacher, and possibly a few Athenian students, to be among the artists and poets. Here’s where you come in. Karla and Sara can’t win the grant without your help. To create their project about community, they need to rely on their own communities to VOTE for them in the online contest. With a $3000 prize, the contest will enable the winner to execute their project idea. Help Karla and Sara win the grant by voting for their project by July 3. One vote per person so please pass it on to your friends! Click to support Karla’s project! You will need to create an account to vote. It only takes a moment! Temescal InSitu will create 10 site-specific public poems/art-installations presented within the tableau of the Temescal district in Oakland, CA, transforming the neighborhood into a book. In order to read the book, folks can walk poem to poem, or explore the neighborhood and see what they discover. What will the $3000 fund? The $3000 will provide the artists each $150 to purchase supplies. The poem installations will be created from materials reflecting the sites. The poets are encouraged to use recycled and sustainable materials. The remaining $1500 will be used for administrative expenses; creating a web site with space for community comments and feedback, sight cleanup, producing maps for the show and having an opening night reception at a local café or restaurant. The show will be up for approximately 6 weeks. We are committed to documenting our process and eventually creating an anthology that details this public art project and reproducing it in multiple locations throughout the San Francisco Bay Area.